St. Matthias Parish offers religion for students who do not attend Catholic Schools. 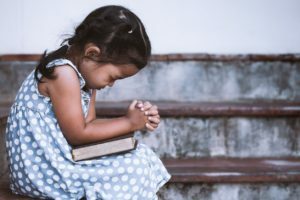 The Diocese of Brooklyn requires that each child attends at least two years of religious instruction before receiving First Penance and Eucharist and two years before receiving Confirmation. Also, children who are 8 years old or older, who were not yet baptized must enter into the Rite of Christian Initiation adopted for Children (RCIA), for 3 years in order to receive the Sacraments. It is recommended that children in Catholic families attend religious instruction continuously from 1st through 8th grade. Giving a child proper faith formation and knowledge of our Catholic Faith is the responsibility of each parent. School year 2019-2020 will start on September 15, 2019. God, in Baptism you called me by name and made me a member of your people, the Church. Help all your people to know their vocation in life, and to respond by living a life of holiness. For your greater glory and for the service of your people, raise up dedicated and generous leaders who will serve as sisters, priests, brothers, deacons, catechist, and lay minsters. Send you Spirit to guide and strengthen me that I may server your people following the example of your Son, Jesus Christ, in whose name I offer this prayer. Amen.